To say I went in with high hopes would be an understatement. Thankfully, this movie does not disappoint. Remember in The Dark Knight where the Batpod pops out of the Tumbler for the first time, and you’re like “OH MY GOD, THAT IS AWESOME!”? There’s a lot of that in The Dark Knight Rises. There’s many scenes where you expect something to happen, and it does, but way more awesome. I love Tom Hardy as an actor, and have since I saw him in Inception, and he doesn’t disappoint at all as Bane, the film’s main villain. I will admit I had a hard time understanding some of his dialog at times – which I later read him saying was intentional in an interview. He reported that he was trying to sound like Bartley Gorman, an Irish bare-knuckle boxing champion. To me, he sounded a bit like a drunk Sean Connery. In a bad way? Not necessarily. You’ll read many reviews over the next few days (assuming you even care about reviews) that talk about spoilers and “what happened at the end” and whatnot. But I’m not that guy, I never have been. I loved the ending of the movie. I loved the story-telling that the Nolan brothers put together for this franchise wrap-up. I may have not seen what was coming towards the end of the film, but apparently it was because I was distracted by all the shiny flying things, and fist fights to have seen it. I felt there were two very distinct AHA! moments towards the end of the film. But in discussing it with others after the film, I’m alone in those AHA! moments, and everyone else had seen them coming. Don’t fear, though, even if you see the “twist” coming, it’s still an excellent movie. I was a little disappointed by the lack of Michael Caine, though. Probably because I could just listen to him talk for the next 50 years, and not care. That guy’s accent is just awesome. (Side note, I’m going to watch The Prestige later today, just to hear his opening voiceover again.) While disappointed, I understood why there was a lack of his character. It fit into the story, and I didn’t get the “Well he’s just off filming some other movie and phoning it in” feeling that sometimes you get when a big actor is missing from a franchise. Joseph Gordon-Levitt is amazing, as always. Talk about a child actor that really grew into his own. Look back at some old episodes of Third Rock from the Sun, and you can clearly see that this kid was going places. (It’s funny that I call him a kid, he’s barely a year and a half younger than I am.) He fits right into the already well established franchise, and feels like he’s been there all along. I really want to love Anne Hathaway in everything. I honestly do. It’s just getting harder and harder. And I feel a bit badly. When news first broke that she was being cast as Catwoman, everyone flipped out. Don’t lie, you were mad, too. People said “Why her? She’s going to ruin it!” and the like. But I defended her. I said things like “Remember when Heath was cast as the Joker, and people felt the same way? And look how that turned out!” I knew that there was a reason Christopher Nolan had her cast. Nolan is one of the most brilliant filmmakers of our time, how could he possible make a blunder and not fix it? If she was terrible, he’d have recast her. AhemKatieHolmesAhem. (Say what you want, Katie Holmes wasn’t in The Dark Knight due to scheduling conflicts. She sucked in the first movie, and they re-cast her. Plain and simple.) Thankfully, however, Anne Hathaway isn’t in the film enough to ruin it. Which I’m glad for, because the scenes she’s in really didn’t do it for me. She has quite a few fist fights, but I don’t buy it. I don’t get that a tall, skinny, lanky girl could overtake a 6’2″ 220 pound dude with a gun. If that makes me a sexist, so be it. Chances are, by now, you’ve already seen this movie if you had planned on it, and my review isn’t going to sway you either way. So what I say here is almost moot. However, this movie is fantastic. I’d say it was my top movie of the year so far, but that honor goes to The Avengers, which beats this out only ever so slightly. 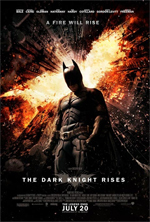 The Dark Knight Rises delivers, in major ways. It wraps up the franchise amazingly. The story, the action, the characters, the good guys, the bad guys. It’s got everything I wanted it to have (except maybe some more trailers before it), and I’m glad to have seen it on the big-screen. If you’re on the fence about whether or not to go see it, spend the money. If you don’t have the money, borrow the money. You won’t be disappointed. Such high hopes. How could this movie possibly not be any good? Johnny Depp and Christian Bale as opposing forces in their lead roles? How could it not be fantastic, right? Well, it’s not. It’s not even close to fantastic. It’s not even close to good. It’s 2 hours and 20 minutes of your life that you’ll never get back. It’s 2 hours and 20 minutes that you’ll wish the movie would just end so you could go home. Every time Dillinger (Depp) got captured, I thought “This it it! It’s over! I can go home now.” But alas, he always escaped prison, and went on the run again. Over, and over, and over and over again. It seemed like the whole movie was him escaping from the cops, and being on the run. The movie focused very little on the actual bank robbing, and the “publicly loved” portion of Dillinger’s career as a crook. Instead the movie made it a point to show how dumb the FBI were in their initial stages.Many times Dillinger walks right down the street in front of an Agent, and they don’t notice. At one point he walks into a squad room at the Chicago Police Station that says “Dillinger Squad” on its door, and they don’t even notice! Seriously? What the hell? Did this really happen? The movie had entirely too much “shaky camera” in it. At times all I could think was “put the friggen camera on a tripod or somethin'” or “don’t let the guy with Parkinson’s hold the camera!” Shoddy camera work, coupled with a barely audible voice track made it a very unenjoyable experience for me. Add in a boring story and plot for the film, and you’ve got a movie that I’m beyond pissed about having seen. 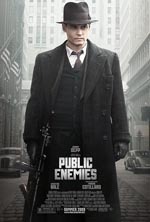 On Tuesday of this past week, I read a review on another site that said “Public Enemies is the best movie of the year.” I shall not name that website by name, nor will I ever visit it again. That’s the problem with sites (such as ours), you trust their opinion, and you get screwed. I should have known — a glowing review the day before a movie comes out can only mean one thing; the writer got a big fat check from a movie studio to say what they said. Here’s the part where I warn you not to see this movie. If you know me, if you’ve visited this site before, you know how hard this is for me. I love Christian Bale. I have a bromance and a man crush on him. It’s no secret. For me to tell you not to see this movie must mean something. Stay away. Stay far away. Regardless of how you feel about Johnny Depp or Christian Bale. You do not want to see this movie. I assure you. 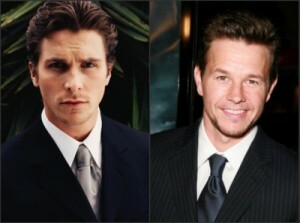 Bale/Wahlberg Need You! Be an Extra! Live in the Boston area? Know where Lowell is? Have no plans for July 14th, 15th or 16th between 10AM and 5PM? Why not be in a movie? Or at least be an extra in a movie. The upcoming The Fighter starring Christian Bale, and Mark Wahlberg is filming in Lowell Massachusetts on the 14th 15th and 16th of July, and need extras for an undisclosed scene. I just signed Christine and I up, and am waiting to hear back if we’ve been accepted, and what the next steps are. If you’re interested, they still need people for the 15th and 16th (Wednesday and Thursday.) To sign up head to BeInAMovie.com and sign up. It’s free, there’s free food, free prizes, and you might meet famous people. What more do you need? Apparently a very young Christian Bale got his acting debut in a Pac-Man cereal commercial. He’s the dancing young lad with the classy ’80s sunglasses. According to his IMdb page he was 9 and it was a British commercial. 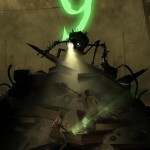 The highlight of going to see Terminator: Salvation this weekend was sadly not Christian Bale, but the trailer for 9. The trailer is available on Apple Trailers in HD, and I highly recommend that you watch it. Better yet, sneak into the trailers for Terminator before going to see another movie. It’s worth seeing on the big screen. A post-apocalyptic nightmare in which all of humanity is threatened. 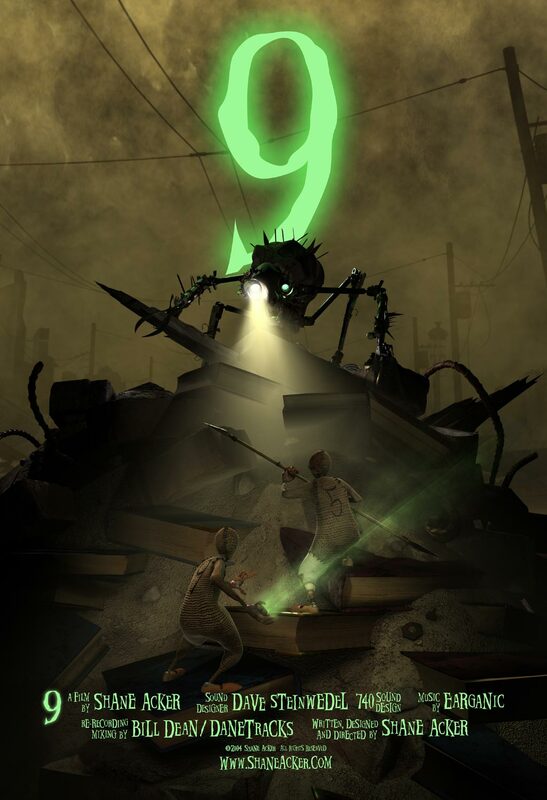 The movie follows 9, an inanimate rag doll come to life (and voiced by Elijah Wood), as he finds others of his kind surviving after an apocalyptic event that wipes out the human race. The movie will be released on 9/9/09 and also features the voices of Jennifer Connelly, John C. Reilly and Crispin Glover. I was looking forward to Terminator Salvation ever since I first heard about it. You all know, by now, my huge man-crush on Christian Bale. It’s no secret that I think he can do no wrong. With that said, you’re probably expecting a glowing review of this film, and how much I loved it and subsequently him. Not this time, my friends. I did not love it. Hell, I didn’t even like it. Terminator Salvation is a pretty terrible movie. While it has certain moments that are acceptable as part of an “action movie”, overall it focuses too much on the story, which a) has been beaten to death by 3 previous movies, and b) is pretty lame in itself. Honestly, I had a hard time sitting through this movie. It’s so dull, at times, that I felt myself nodding off, hoping something would explode and shake me back to my senses. The first “action” scene, is quite good. Lots of explosions, lots of gun fire, people being punched, etc. But after that, it dies off, and pretty quickly. Once it dies off, we get to the “meat” of the story, and almost immediately stop caring about anything, and wanting more stuff to blow up. And it doesn’t, for quite a while. I think my biggest problem with this movie is that Bale’s character is supposed to be the hero. They call him the prophet in the movie. And he’s really not. He happens to show up, to save the guy that’ll be his father, and then lets a robot fight another robot to save him. Doesn’t sound very heroic, does it? The bottom line is, if you wanted to see this movie, you probably are going to, no matter what I say. But don’t say I didn’t warn you. A lot of people are complaining about this movie, further solidifying why McG shouldn’t be allowed to do anything but produce television shows anymore. 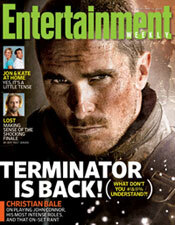 The latest issue of Entertainment Weekly features MovieSnobs favorite Christian Bale on the cover. The cover story is intended to provide fans with insight into the new Terminator movie, but inevitably strays into tabloid territory. The writer asks Bale about his profanity-laden on set outburst that became the rant heard ’round the world when it was leaked on the internet in February. 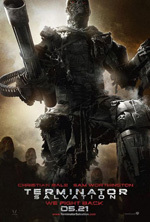 You can read the rest of Bale’s thoughts on his rant, and the story of how he signed on to Terminator: Salvation at ew.com or in the issue on newstands now.